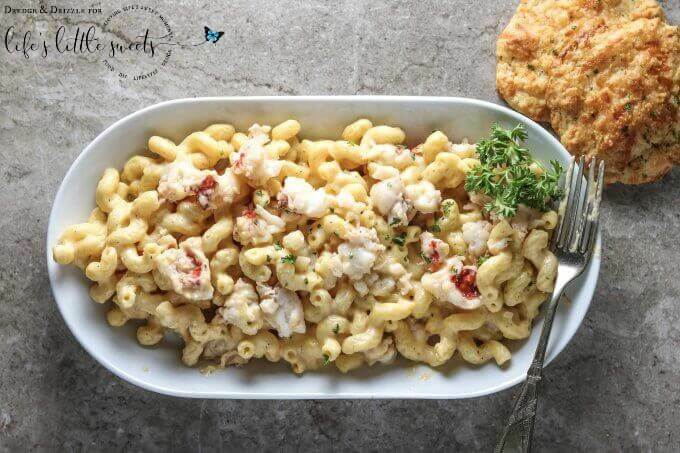 Looking to bring the ocean to your family’s dinner table? 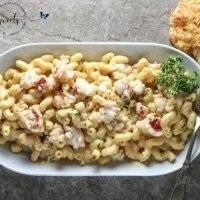 This Lobster Macaroni & Cheese is creamy and warm and buttery with a hint of Old Bay seasoning… a huge crowd-pleaser! 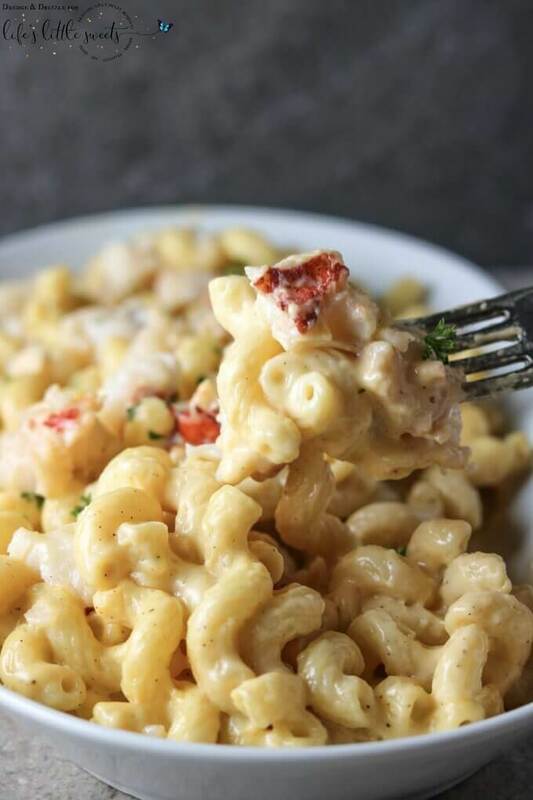 If you can find lump lobster meat by the pound, that’s great! But if you can only find lobster tails, those will work too. Just use a pair of kitchen scissors to cut along the backside of the tail and carefully break it open and pull the meat out. It is actually easier that you might think. But the shell can be sharp so just be careful. 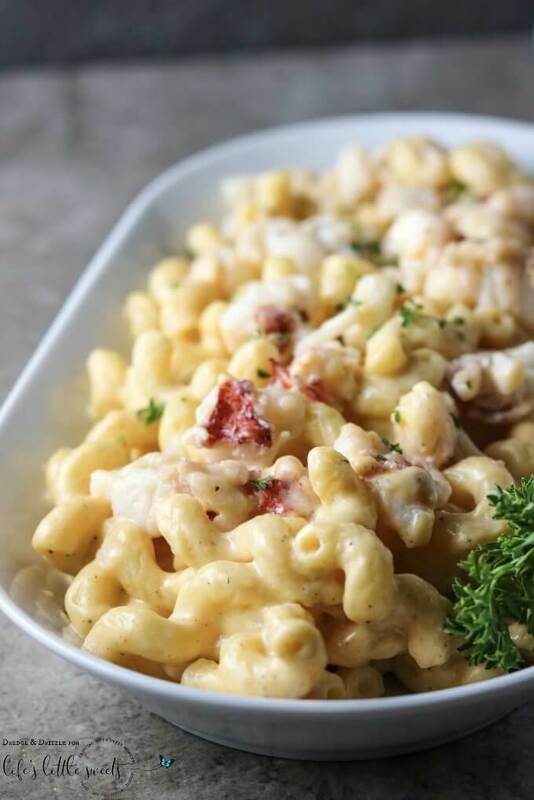 The verdict in our house regarding this Lobster Macaroni & Cheese was a resounding YES! There was a little leftover for lunch the next day but there wasn’t any left to pack in lunches for Monday. I know this will be the case in your house too! 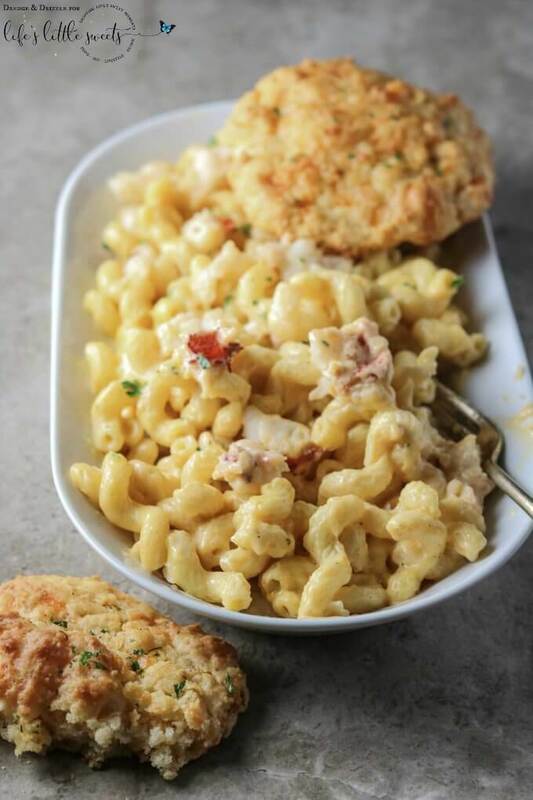 Cook the cavatappi according to package directions. Drain, rinse, and set aside. In a medium fry pan, heat 2 tablespoons of the butter and add the shallots. Add the lobster meat and sauteé for 2-3 minutes. Do not overcook. Set aside. In the same pot used to boil the pasta, heat the remaining 2 tablespoons of butter and milk until the butter is melted. Add the cheeses and stir frequently until melted. Stir in the Old Bay, seasoned salt, salt, and pepper. Add the pasta and lobster meat and stir. Serve immediately.